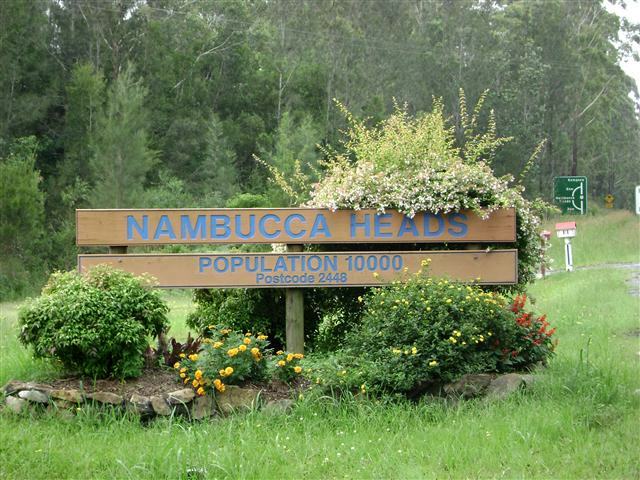 Nambucca Heads is the centrepeice of the Nambucca Valley, one of New South Wales’ most idyllic locations. From sweeping beaches to lush farmlands, a visit here is the start of a lifetime love affair with this beautiful region. 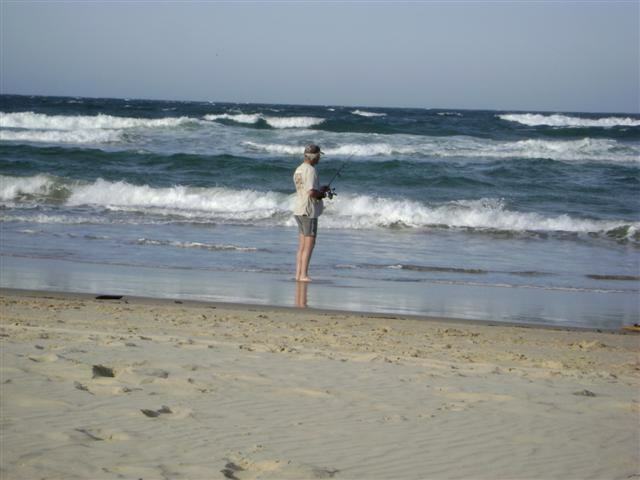 We set our minds on a couple of days of R&R so that John could fish and I could have some time out, and set off for Nambucca Heads. The sun was shining in a perfect blue sky but there was a stiff breeze blowing when we arrived at the Headland Tourist Park ([star][star][star][star_half]). 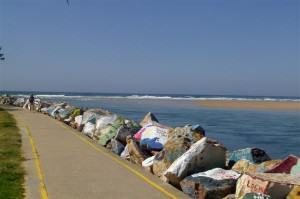 As the name implies the park is located on the headland overlooking Main Beach and the beautiful Pacific Ocean. 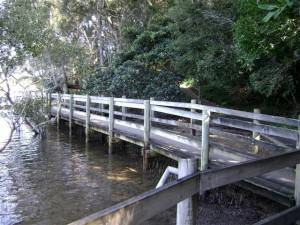 It’s not a large park but it is set in pleasant rainforest-like surroundings with magnificent views of the coastline and out over the ocean. It is also pet friendly and while we set up camp our little dog, BJ, took the opportunity to explore a little, albeit within the confines of our site. There’s not too much setting up to do with a caravan and before too long we wandered down the Beach Walk, a path that leads from the headland right down onto the sand. It’s a lovely walk on a shaded path but coming back is all-uphill and really not for the not-so-fit ones amongst us. We went about halfway down to a small lookout and watched a kite-surfer putting on quite a display in the strong breeze. He was having a great time and how he could stay up on that board was a complete mystery to me. John said it was easy but I noticed that he wasn’t attempting to do it! 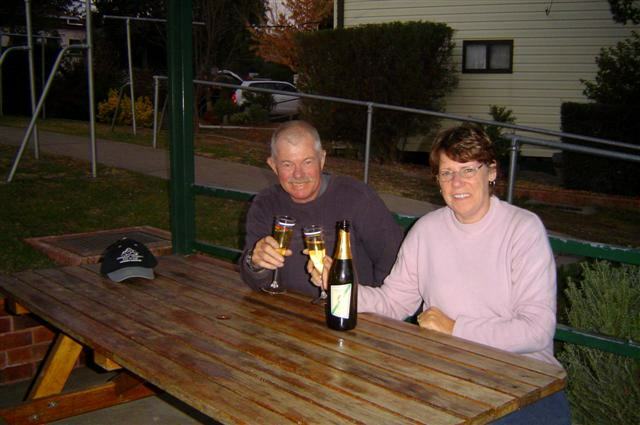 The afternoon was waning and we had a bottle of Two Tails Sparkling Wine waiting for us back at camp so we returned to the van and settled in for a quiet evening. We woke the next morning to a stunning, sparkling day. The sun was shining, there wasn’t a breath of wind, or a cloud in the sky, and the temperature was climbing to what would be an ‘almost-summer’ day. 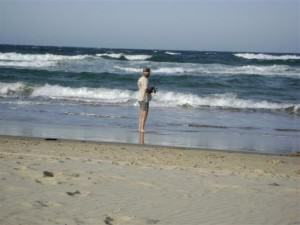 We decided to explore a little before setting off to the beach and that elusive big fish. 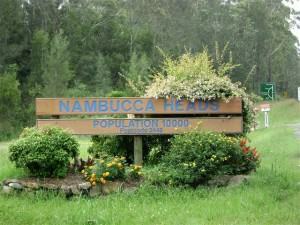 Gordon Park Rainforest Sanctuary is in the middle of Nambucca Heads, right next to the main shopping thoroughfare. Whether by luck or design this magnificent tract of rainforest is a welcome respite from the bustle of Saturday morning shopping. An old abandoned water well was discovered in the early 1990’s and it is fed by a natural spring that runs right through the forest. This well and the spring were said to have been the main water source for the town in the 1880’s. 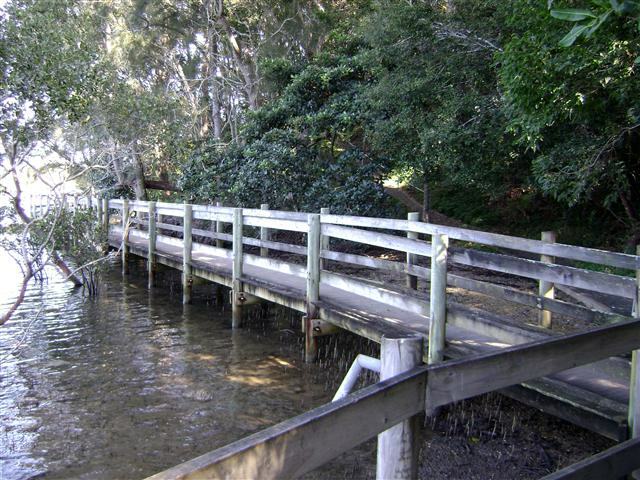 There is a walking track that meanders through the rainforest and is surrounded by dense foliage with the sun’s rays peeking through the lush canopy, and bench seats along the way where you can sit and catch your breath while you listen to the calls of native birds. 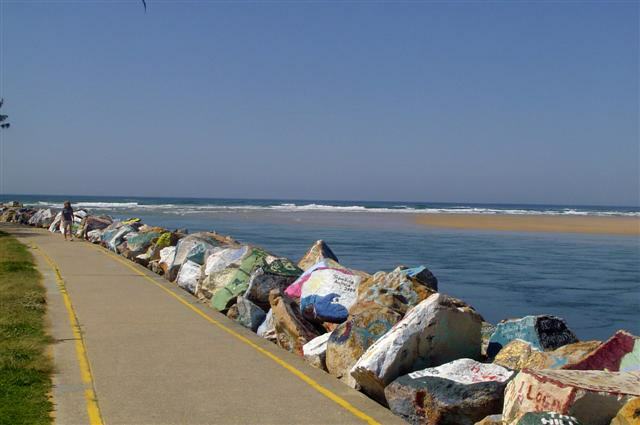 hundreds, even thousands, of messages painted on the wall; some are funny, some are clever, and some are even romantic, and together they add colour and fun to what would otherwise be just a pile of rocks. We walked out along the wall, reading some of the graffiti messages along the way. By the time we’d walked to the end and back it was time to go back to camp for John to get ready for an afternoon of fishing. Not that that takes much getting ready! 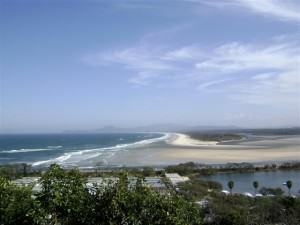 Valley, and is bounded by the Pacific Ocean on one side and the Nambucca River on the other. 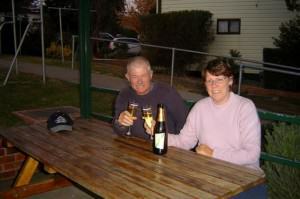 In spite of the wind that spoiled an otherwise perfect afternoon, we weren’t disappointed with our stay there and will return often to renew the love affair that began on a picture perfect spring afternoon.